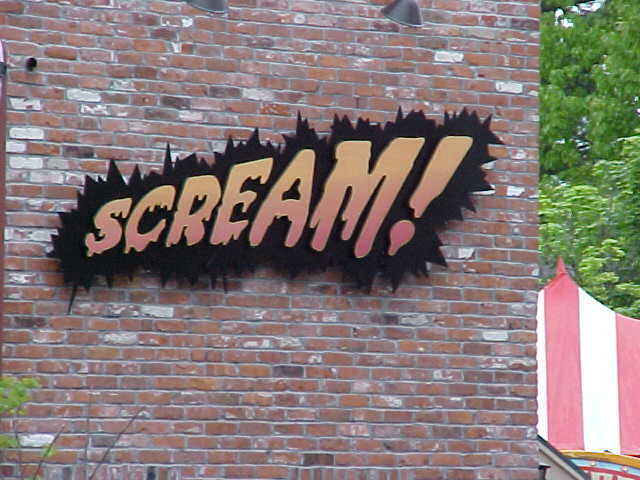 Home > Massachusetts > Six Flags New England > Scream! TPC Overall Rank: #82 out of 2933 rides. In User Top 10: 23 times. 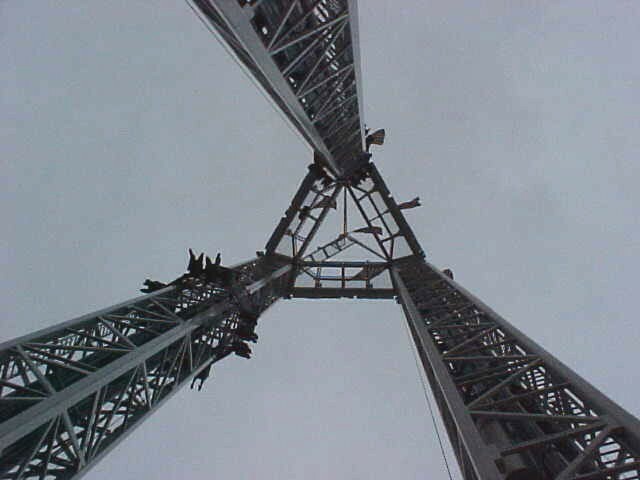 It is an average S&amp;S Triple Tower with Launching and Ascending Towers. But the average tower is still great. This rating depends on whether or not space shot or combo is being run. Space shot is really tame, only giving a little air at the top and a weak drop, but combos drop is very intense. It launched me from my seat and had a decent stomach dropping sensation. This is the best tower ride Ive ever been on. The combo shot is great and it is the only ride that still scares me at SFNE. The only S&S drop tower Ive ever been on, I cant compare it to other ones that arent combo towers. But I can say that it was exhilarating. Almost chickening out, Im glad I didnt because it was one hell of a ride. The tower starts you off by raising you slowly about 4 feet and then lowers you very slowly 3 times. You then hear a hiss of air and fly sky high. Admittedly, its fun, but the best is next. You drop a bit, and then go up again and stop. In 12 seconds, BAM! You are not only dropped, but feel pushed as you plummet 205 feet. You go back up, and are gently let down. The ride may be over, but the adrenaline rush lasts for a while. Ride it again if theres no line. APPEARANCE: I really like Screams location in the center of the park as the ride looks great and intimidating, along with the fact that it provides great views from the top. The ride itself looks very clean and the entrance looks nice and really fits in with the area of the park. WAIT TIME: 40 minutes- This is an average since I see lines range from 20-60 minutes throughout the day. However, my advice is to use the single riders line since it is far quicker than the regular line and Six Flags sometimes even lets you ride with your group even if the single riders line is used. SPACE SHOT: I will break the ride section into the two different cycles I have experienced. The launch was sudden and had some decent Gs at the bottom, but it really slowed down by the time it reached the top it lost a lot of speed. Still, there was some decent floater air at the top along with a good view. The drop isnt overly forceful though and rather weak. COMBO MODE: This is far superior to space shot mode and what I have seen Six Flags run the most. It begins with a space shot mode identical to the one I described above, but then it slowly ascends to the top beginning the turbo drop mode. The drop was suspenseful and excellent. The drop provided great air and a very good stomach dropping sensation. FINAL VERDICT: Scream is my favorite drop tower thanks to the combo mode that is run most often. The intensity of this tower is unmatched by others Ive been on and the views are great as I mentioned. This is my favorite non-coaster at Six Flags New England. Another great S&S drop tower, nice and tall the way they should be. I do prefer the turbo drops as opposed to the space shots, so I was a little bummed when I approached Scream and saw the ride vehicle getting launched. To my surprise and pleasure, though, this turned out to be a combo tower, so we got the best of both worlds. 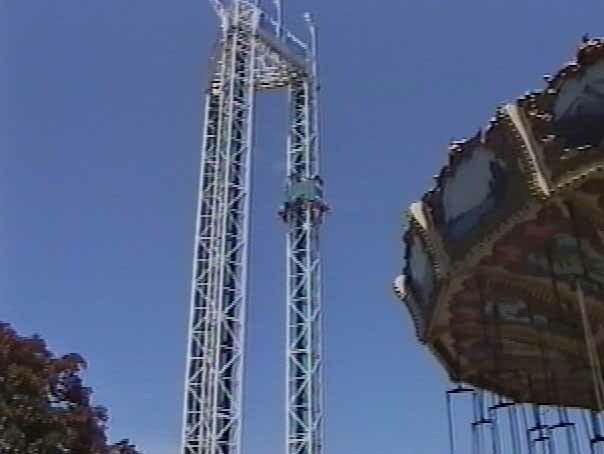 The launch was actually nothing to complain about anyway, but add to that the wonderful freefall drop after suspensefully waiting at the top, and youve got a perfect 10. This is a decent drop ride, but I have been on faster and taller versions, so this only gets a 7. The largest S&S I have been on, Scream! still makes me scream. Combo mode is my favorite, though the other modes are still good. The restraints are tight, and the new "green light" system to automatically check the restraints saves the hassle of double checking the restraints. The ride op usually counts down to the launch up, making the ride much more suspenseful. The height, at 200 or so feet, intimidates many, and the usual 2 out of 3 tower operation usually runs well enough for short lines. A must-ride at Six Flags New England.